New York Times Featured Author -- This page collects reviews of the novel over the years, with links to related articles from the newspaper. You have to register to login, but registration is free. • London Guardian Obituary -- fact-filled. 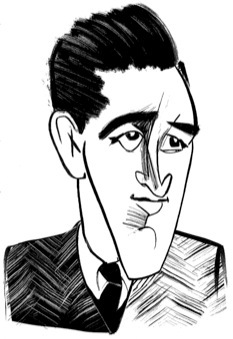 What Salinger Means to Me -- National Public Radio obituary, also links to related NPR stories. “In Search of J. D. Salinger” -- People overview, with pictures (6 June 1988). With Love and 20-20 Vision -- Original Release, Time Magazine, 1951. Holden Today - Still in the Rye by Stefen Kanfer -- Time Essay as an update on Holdens post-novel life. Holden, 50, Still Catches by Fred Bratman -- New York Times retrospective and analysis of novels impact. 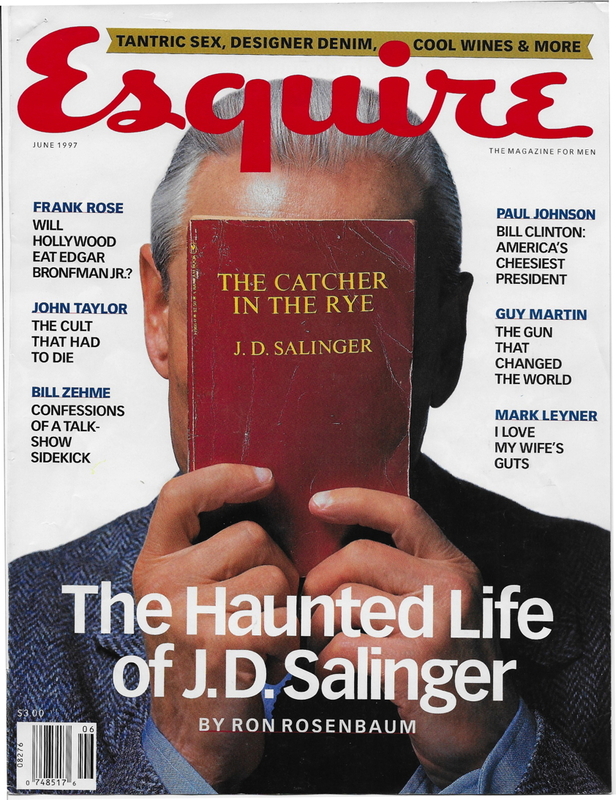 Get a Life, Holden Caulfield by Jennifer Schuessler -- Ostensibly about the restraining order on a Catcher parody, this article focuses on whether or not the book is relevant to modern readers. 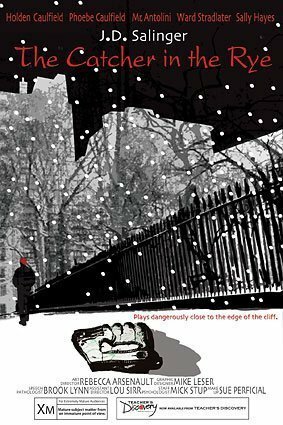 Aw, the Worlds a Crumby Place by James Stern -- parody review of the novel. The Dimwitted Legacy of Holden Caulfield by George Will -- Chicago Sun-Times retrospective analysis of novels impact by George Will, in imitation of Holdens Style. “Of Teen Angst and an Authors Alienation by Michiko Kakutani -- An appraisal and retrospective of the novels influence. Kings in the Back Row: meaning Through Structure - A Reading of Catcher in the Rye by Carl F. Strauch -- analyzes the novels symbolic structure through language, motif, episode, and character. 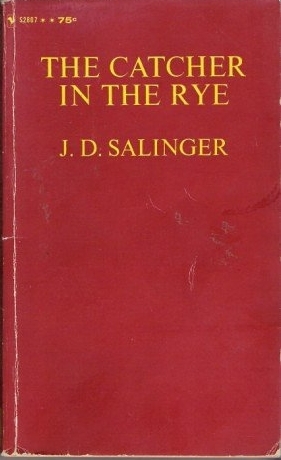 Holden at Fifty: The Catcher in the Rye and what it spawned by Louis Menard -- An analysis of the impact and reputation of the novel over a fifty-year period. 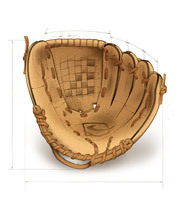 Fan Fiction -- Alternate endings, added chapters, other fiction in the style or on the subject of Catcher. Fisher-Price Theater -- Go here for an intriguing comic book version of the novel. Walk in Holdens Footsteps -- Interactive Map of New York City and a related article. 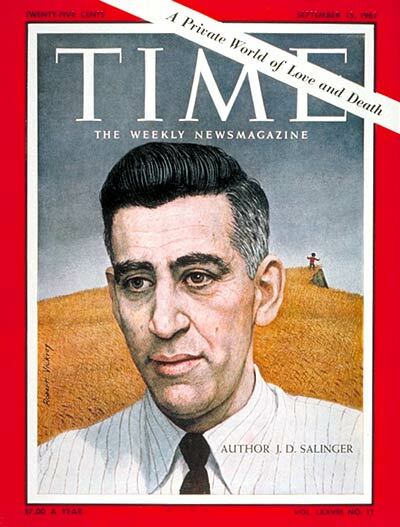 Bunch of Phonies Mourn J. D. Salinger -- Onion obituary. Phonies! Movies Inspired by J. D. Salinger -- a photo-show from Time. The Gospel According to Holden -- Newsweek article Holdens influence on pop culture, crime, even linguistics. “In Praise of Serious Hats” by Lance Morrow -- reflective essy on the symbolism of hats (25 April 1983, Time). Teaching Poster: Design a poster designed to teach your classmates about the novel. In Holden’s Syle: Creative writing assignment emulating Holdens style. Writing about Literature: Directions for your essay on The Catcher in the Rye. ABC Book: Group project to create an alphabet book using characters, symbols, events, etc. from The Catcher in the Rye. Understanding Character: Using the handout, analyze Holdens character and use your analysis and imagination to determine appropriate answers for each of these strange questions. Poetry Project: Creative writing assignment requiring four original poems derived from The Catcher in the Rye (limerick, ode, viewpoint, and found). Character Poems: Compose a series of poems and/or songs in the voices of characters from the novel. You may want to imagine that you have been hired to turn the novel into a musical or even a modern opera. *SPECIAL NOTE: Prestwick House offers Levels of Understanding, a unit based on Bloom’s Taxonomy which includes leveled writing assignments for each chapter, as well as a very useful introduction and teacher guide. I rarely recommend commercial products like this, but definitely worth the $25.00 for 183 pages. Applied Practice also offers an unit with passages andAP-style multiple-choice questions. The explanations of correctanswers are especially useful ihn teaching AP MC stratgies. 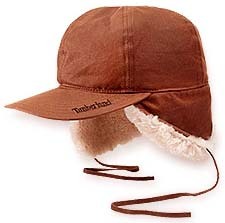 NOT useful as a reading check, BUT can even be used without reding the qhole novel. Sampler.